This is the final Charlie’s London post by Ayşe Behçet for Silent London. Charlie’s London is now moving to its own site! 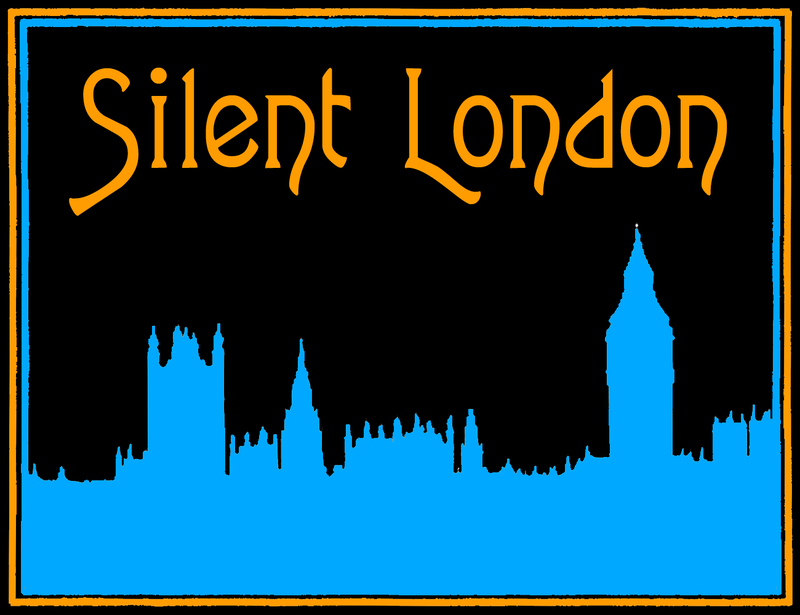 Welcome to the last edition of Charlie’s London on Silent London. I had been thinking for a while about what would be the best goodbye post for a site I hold so very dear. Without Silent London, Charlie’s London would not have an audience and I would not have had the platform to express my love for one of the greatest artists/comedians/directors/humanitarians the world has seen. Chaplin means something different to everyone. To me he has somehow become part of my family history! From little William in that workhouse to seeing my very own godson fall in love with his films, I can honestly say Charlie never leaves me. Recently I was lucky enough to attend the Southbank showing of The Circus and as I sat in what really is Charlie’s London I felt very honoured and emotional. It was not just because it was a Chaplin film, but because my grandmother and I had watched this film many times when I was a child. I clearly remember her singing “swing little girl” to me on more than one occasion; I wish she had been able to sit in one of those deckchairs with me and enjoy it for herself. There has been so much written about Chaplin the film-maker, the genius of cinema. There has been even more on Chaplin the man. What has interested me throughout my time writing this blog is Charlie the Londoner. It is true that most of his london no longer exists, but his presence still lingers those streets, even if people do not realise it. Poverty is still a massive problem in inner-city areas around the world, and South London is no different. Chaplin saw all this. For him it was a different age, a different life, but not a different London. 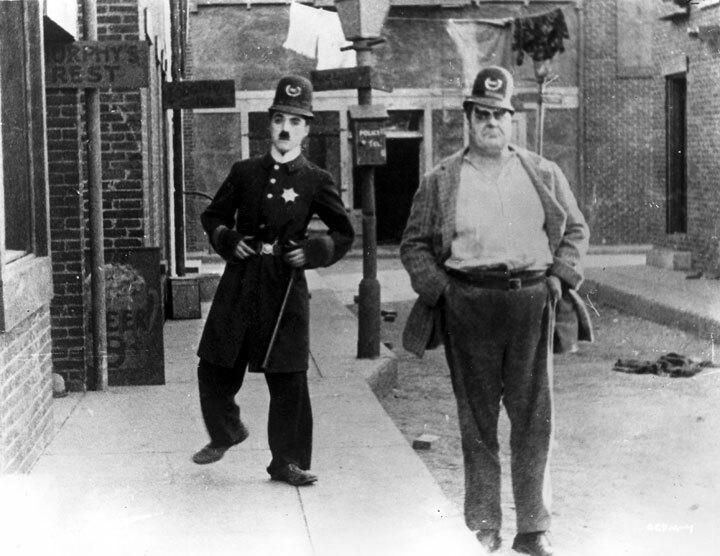 You can see this in every one of this films: Easy Street, The Kid, Modern Times and right up until Limelight, Chaplin never forgot his roots. While writing this blog I have learned an awful lot about my own family history, and myself too. I have enjoyed many chats with my mother into the early hours that often resulted in tears of laughter. The stories of my great grandmother and her false teeth! My own Nanna listening to Chaplin’s 1943 address to his Lambeth, my own rainy saturday afternoons with One AM and Kid Auto Races. Every street corner we turned in our Chaplin journey I would hear something about my own roots: my great grandmother being in a workhouse, my Uncle Fred living just off Methley Street and my mother remembering the bustle of East Lane Market. In my Silent London blogposts I was able to cover all the major areas in London that still have that Chaplin feel. But there are so many more I would like to share with you all. Due to the popularity of the posts I have now branched out into the big wide world of blogging on my own! Charlie’s London is now available at charlieslondon.blogspot.co.uk. You can also find us on Facebook and @Charlies_London on Twitter. I hope to see you all soon. I would like to say the following thank-yous for making this all possible! Pam: Without your encouragement and fantastic editing skills I do not think Charlie’s London would even exist. Thank you for allowing me to monopolise some of your space and giving me the courage to write down my thoughts. David Robinson: Without your books and incredible encouragement every time I ask to quote you or I email you strange questions I doubt I would know half as much about Charlie as I do. Thank you for reading my blog and being such a great influence on me. Kate Guyonvarch: Thank you for allowing me permission to use the material I have for this blog. Thank you as well for always answering my emails, filling in the blanks when I have needed some help and always sending me in the right direction for future research. Dr Lisa Stein Haven: Your fantastic book on Sydney Chaplin not only gave an extra dimension to Chaplin and the brothers’ bond that I consider to be so important to Charlie’s London, but also for giving a voice to a figure in Hollywood history I genuinely believe should have always been heard. A great businessman, a great comedian and actor and of course a great brother. My dear Nanna, Mum, Kieran, my Dad and even my brother: You’re not last and you will never be least! Without you all and our times together I would have nothing to fill my blogs with that wasn’t simply Chaplin fact. You have all made this blog very personal, and thank you for travelling London taking pictures, trawling the streets looking for addresses, coming to screenings, and then reading it afterwards! And of course i want to thank everyone who read the blog, tweeted me, sent messages of encouragement and make me feel Ihave (hopefully) now proved Charlie never really left London. He just went on holiday to make the world laugh. Bye bye everyone! Thank you for reading Charlie’s London. Don’t forget to bookmark the new site.